These were really good. We did not have slider buns, only kaiser buns, so we made like pork burgers. They were different. Pretty good for what they were. The avocado was really good. We used butter instead of cooking oil when we grilled it and we grilled it on a real grill as we do not have a grill pan. It's a fairly simple recipe, good for a Saturday lunch. 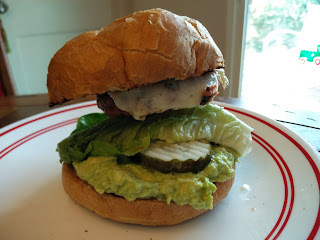 Wouldn't say that it was great - beef burgers are definitely better, but it was fun to try it! 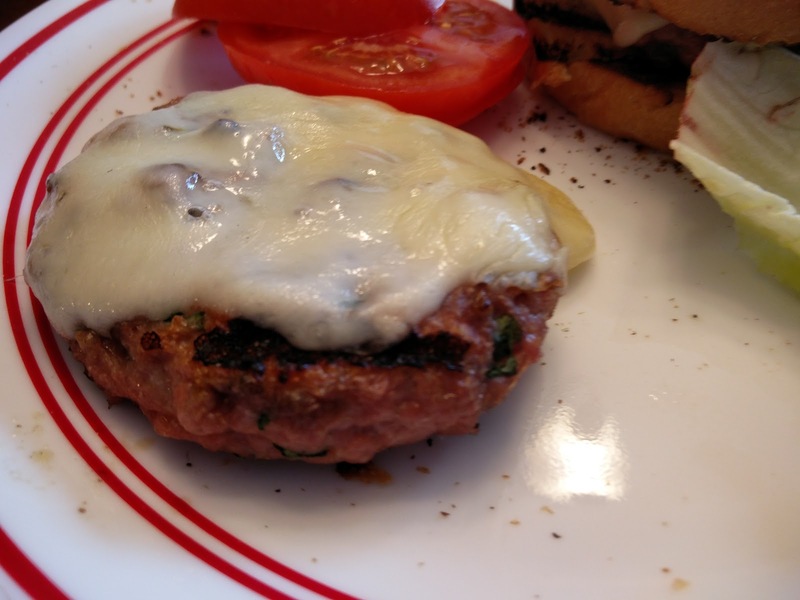 We also used a lot more cheese, and just as cheese slices since we were grilling on a real grill anyways. 2. Combine pork, parsley, salt, and garlic powder in a medium bowl, gently mixing with hands. 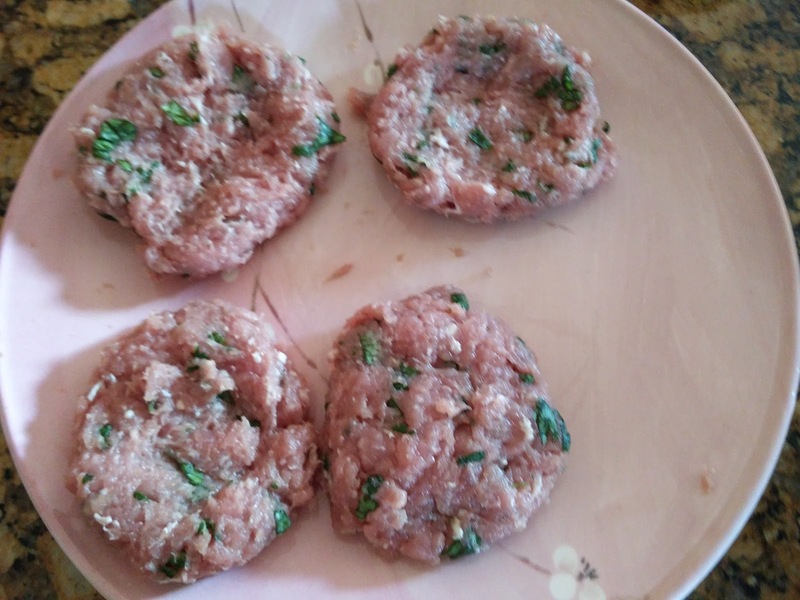 Divide mixture into 4 equal portions, shaping each into a 1/4 to 1/2-inch-thick patty. Lightly coat both sides of patties with butter - about 1/2 tbsp on each side. 3. Place on grill, cook 4 minutes (per side) on medium high heat on the center grill. Turn patties over; top patties evenly with cheese. Cook 4 minutes. 4. Lightly coat cut sides of buns with butter (not necessary - we didn't do this). 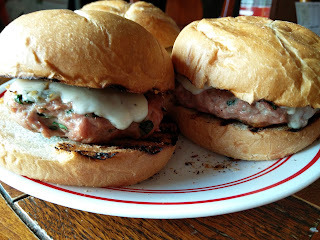 Place buns, cut sides down, on grill; cook 1 minute or until lightly toasted. 5. Combine lemon juice and avocado in a bowl; mash avocado with a fork, and stir to combine. Spread avocado mixture evenly over bottom halves of buns. Place 1 patty on each bottom bun. Top each with 1 tomato slice and 1 lettuce leaf. Top with top halves of buns. Serve immediately. Fairly quick and easy lunch. The avocado was good. Pretty light meal. Nothing really spectacular though. Meat was a little bland. We would spice it more usually. He just ate the Kaiser bread and pickles. Spice the pork differently. Parsley was really good with it, but a lot more garlic and onions and black pepper should be added. Perhaps a little bit of cumin would give it a nice little spice.